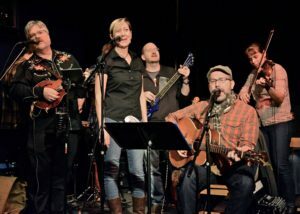 Old Time Country & Western Revue, Ltd.
Hailing from Hurley, Wisconsin, the Beguine Brothers Old Time Country & Western Revue, Ltd. are well known in the North Woods Tri-Lake area for their good-hearted takes on barroom music. They perform most Tuesday nights at Mama Mamuschka’s on the Gile Flowage across from Gile County Park. Stop in sometime, but don’t ask about Great Aunt Babuschka Mamuschka’s snowmobile accident, I beg of you! The Beguines are a large and unwieldy extended family of musicians who come and go from each other’s lives (and bands) with startling irregularity. To book the Beguine Brothers for your event, please contact me.